DI LIDO ISLAND 500 W DILIDO DR MIAMI BEACH. Ultra-high-end luxury waterfront on the Venetian Islands in Miami Beach facing west & offering incredible Miami Skyline & sunset views! 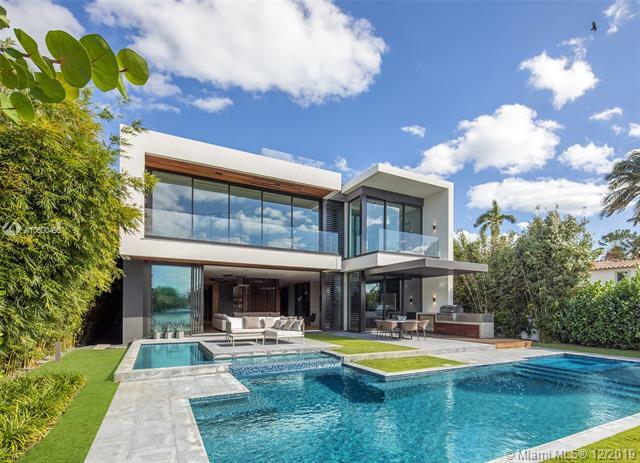 Built in 2019, this modern masterpiece features an open concept floor-plan with a family room, glass-enclosed office/bar, dining area, Boffi kitchen, & living room with powered sliding doors. Finishes include: exquisite Listone Giordano oak floors, Savant control system, 10 ceilings, Italian frameless doors, Boffi fixtures & closets. Upstairs, stunning oversized master suite with luxe bath & large terrace. Outside, heated salt-water pool with a spa, Boffi summer kitchen, IPE deck, new dock/seawall. Amazing 620-sf rooftop deck offers jaw-dropping skyline & bay views. Automatic gate, security cameras, 2 electric car charging stations, & 2-car A/C garage. If you are interested in buying property located at 500 W DILIDO DR, Miami Beach, FL 33139, call us today! Sale price is $ 14 500 000 ($ 2 648/ft²).